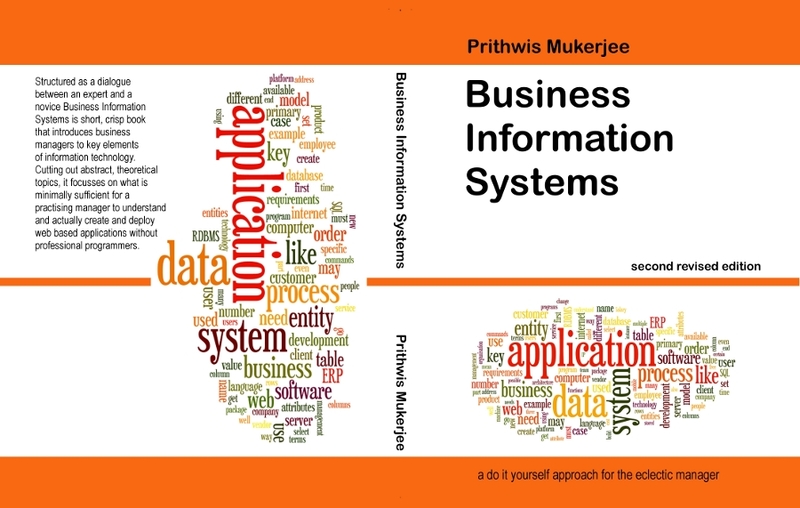 An ultra contemporary perspective on what is traditionally referred to as Management Information Systems in B-Schools. This short book that introduces business managers to the key elements of software systems engineering in a manner that is radically different from that found in any contemporary text book. Structured as a dialogue between an expert and a novice – in the Upanishadic traditions of India 🙂 this book leads the reader through the technology issues and management processes that are crucial for the successful deployment of information systems. Bypassing abstract and theoretical concepts, this book leads the manager beyond the inanity of traditional office applications – word processor, spreadsheet, email – and introduces him or her to the exciting world of Web 2.0 and the exhilaration of actually building and deploying useful business information systems using Cloud Computing techniques.